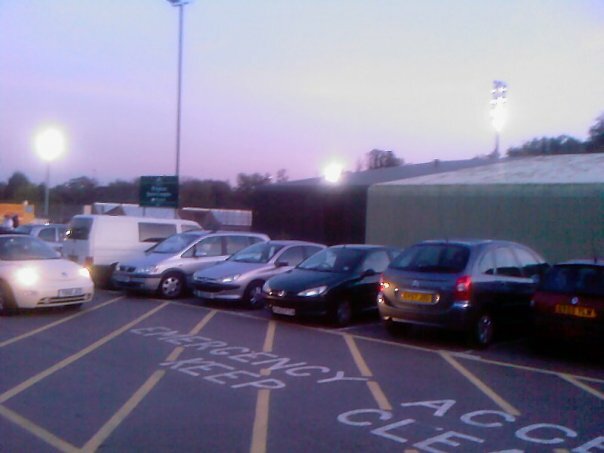 Last ever match I went to see at The Withdean: Brighton & Hove Albion 2-0 Gillingham, Tuesday 13th October 2009, League One. I don't really remember too much about the day when I went to Brighton too well, but from what I can remember about the Withdean, My Dad had previously went to The Withdean years ago and before I went to the game, he did pre-warn me saying it is an absolute dive, I do not recommend going to The Withdean at all. And boy, he was right. From what I can remember that day, I dragged my Dad with me to the game (He wasn't that keen on going which I don't blame him now!) onto the Supporters Coach and got the coach up to the game. I think we got there about half 6ish as it was a Tuesday night game, had plenty of time to kill. I remember the toilets at the Withdean were absolutely dreadful, and the weather was crap as well as it had mostly been raining all day prior to the game. We lost the game 2-0, thanks to goals from Elliott Bennett and Tommy Elphick in which was just another typical Gillingham away performance. The Withdean Stadium was just such a horrible, horrendous ground, it really was not worth the time, the effort, and the money to go there. 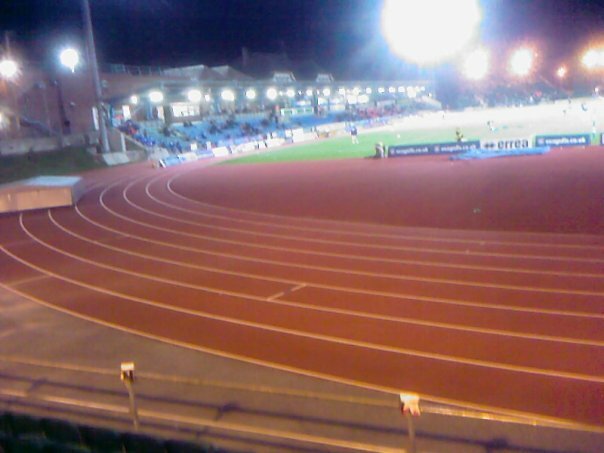 It wasn't a proper football ground, it was an athletics ground. 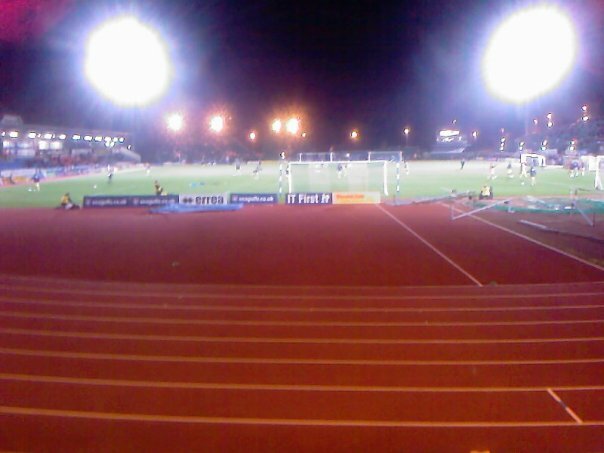 All the stands apart from 1 stand were open, and we were miles away from the pitch. 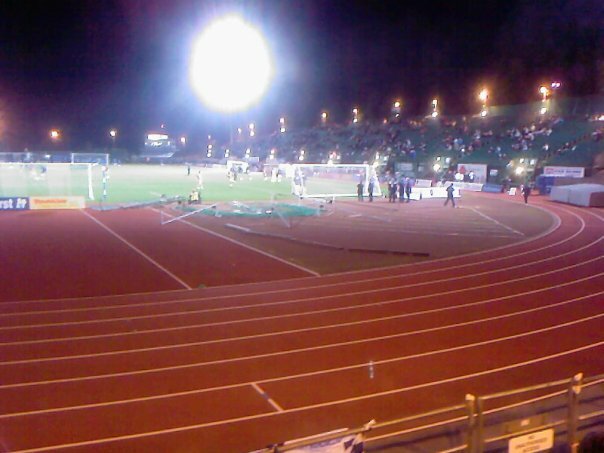 It was worse than Rotherham's temporary ground, The Don Valley, and even that one was an athletics ground as well. Well they were both terrible grounds. After Brighton moved to the AMEX in 2011, I was just so relieved they did, and luckily since then I have been to the AMEX in their first ever League Cup game which funnily enough Gillingham got drawn against, a hell of a lot of difference in grounds. Sorry for the quality on the pictures, these were taken on my old phone sadly!